A. Vinod Kumar is Associate Fellow at Institute for Defence Studies and Analyses, New Delhi. Click here for detailed profile. An ASAT in itself is not a defensive system that could ‘safeguard’ any asset. Instead, it is an offensive system that could solely be used for retribution in response to an attack on India’s space assets. In that sense, the capability can only be used as a deterrent against a potential rival. Associate Fellow, IDSA, Mr A. Vinod Kumar's written evidence to the ‘Nuclear Non-Proliferation Treaty and Nuclear Disarmament Inquiry’, conducted by the International Relations Committee of the House of Lords was published (NPT0015) by the Parliament of the United Kingdom on February 26, 2019. For every major military invention in human history, there has quite always been a countervailing technology. Nuclear weapons have, however, remained an exception. 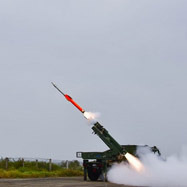 Ballistic missile defence (BMD) has, in recent years, emerged as a formidable means to defend against nuclear-armed delivery systems though yet to prove their total reliability. What does the advent of BMD mean for the nuclear revolution – will it make nuclear weapons obsolete or in turn lead to a new arms race among great powers? Associate Fellow, IDSA, Mr A Vinod Kumar's research article, ‘Struggles of Norm Construction in the Global Nuclear Order: An Indian Perspective on the Formative Years,’ was published in Artha-Journal of Social Sciences, Vol. 17, No. 4, 2018. The article revisits the early struggles of nuclear norm construction through the perspective of an actor with multiple role identities, and analyses the conceptual issues associated with the normative structures during the formation of the nuclear non-proliferation regime. Associate Fellow, IDSA, Mr A Vinod Kumar’s article on President Donald Trump’s nuclear policy, titled ‘Trump's volatile nuclear policy begins to take effect’ has been published by the British American Security Information Council on June 7, 2018. As in many other policy realms, Trump’s nuclear mission also seems to be aimed at reversing the legacy of his immediate predecessor, while having no notable contribution to the initiatives pursued by his Republican predecessor to curb proliferation, even if through proactive means, argues the article. The standoffs in Doklam and North Korea offer insights on how crisis stability remains subject to the complexities of deterrence, especially in theatres with multiple nuclear-armed states, and what this entails for disarmament. Is the DPRK's nuclear march unstoppable? Associate Fellow, IDSA, Mr A Vinod Kumar’s article on nuclear threat in the Korean Peninsula, titled ‘Is the DPRK's nuclear march unstoppable?’ was published by the British American Security Information Council on November 7, 2017. Associate Fellow, IDSA, Mr A Vinod Kumar's chapter titled ‘The Expectant Global Nuclear Renaissance: Movers, Shakers and Spoilers’ was published in Springer Edited Volume titled ‘Resurgence of Nuclear Power: Challenges and Opportunities for Asia’, co-edited by Nandakumar Janardhanan, Girijesh Pant and Ravi B Grover. Associate Fellow, IDSA, Mr A Vinod Kumar’s opinion piece on the political environment after three years of the NDA government, titled ‘The Saffron Surge and Tilt towards Absolutism’, was published in ‘The Citizen’ on June 13, 2017. Over 60 nations attend One Belt, One Road Summit: Is China ruling the world already? Associate Fellow, IDSA, Mr A Vinod Kumar’s article on One Belt, One Road Summit, titled ‘Over 60 nations attend One Belt, One Road Summit: Is China ruling the world already?’ was published in ‘The Indian Economist’ on May 15 2017.